Summarize your bug with cls learn control ability when my rebel ally was hit, cls must get 10% turn meter. by this mechanic my cls could take turn before opponent revan. it works well before a week ago. and suddenly it doesn't work at all. by my calculation, my cls only need 283 speed against 252+40+6%(by bastilla) revan. and it works as intended without any exception before. now my cls can't take turn even with 286 speed. there was no announcement about this at all. so i can't think this "bug" is intended change. Steps: How can we find the bug ourselves? set 101 speed revan with 102 speed ezra. set 100 speed cls with slow rebels(except han) then ezra will get 1st turn and attack rebels. after ezra attack, cls will have 1100 turn meter revan will have 1010. so next turn must be cls. if not, it's broken. Hi, I'm trying to understand your concern. Can you please describe the teams that you are reporting? 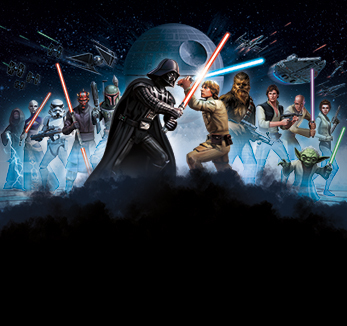 I'm assuming one of the teams is Revan lead, Grand Master Yoda, Bastila Shan, Jolee Bindo, and Ezra. What 5 members are on your team? When the enemy Ezra attacks first, which ally is he attacking? If your CLS has 283 speed, and the enemy Revan has 252 speed (+40 from Leadership, so actually 292), and their Ezra goes first, it depends on which skill Ezra uses. For example, if their Ezra uses "Watch and Learn" calling Grand Master Yoda to assist, both Ezra and GMY will gain 40% turn meter, plus GMY will gain an additional 40% turn meter for using "Ataru" on an enemy with greater than 50% turn meter. Now, if they attack one of Command Luke Skywalker's Rebel allies, then CLS will also gain 20% turn meter. At this point, both CLS and GMY have over 100% turn meter, and the game will randomly decide which of them will take the next turn. Please let me know if this describes the situation you are seeing. If not, please help me understand the exact squads and sequence of events, and then what you believe is not working properly. Thanks! ezra is just for example. my cls has 286 speed. opponent revan has 252, bastilla 261, gmy 263. others are not important because they are slow. bonus speed is 40.
i start stunning yoda with han. bastilla almost everytime call yoda. so there is no turn meter relative skill except bastilla unique. about a week ago, my cls was 283 speed and as long as yoda's basic hit rebels, my cls got turn before revan every time. with normal luck, my cls has to take turn before revan sometimes. but it never happens in this week. revan uses mark skill every single time before cls. by my calulation, revan needs over 256 speed to overcome 286speed + 10% turn meter cls. that's why i think it's bugged. Okay, looking at your profile, your squad is "CLS lead, Han, Chewbacca, R2D2, Thrawn." 2. GMY is the fastest character, so takes the first turn. Is stunned, no action. 3. Bastila is the 2nd fastest character, so takes the 2nd turn. Calls GMY to assist. GMY gains 40% turn meter. All other Jedi (Revan, GMY, + the other 2) gain 6% turn meter and Legendary Battle Meditation. Revan should have been at 97% turn meter before this, so now is at 100% turn meter. 4a. If Bastila sent GMY to attack CLS or Thrawn, then CLS gained 0 turn meter from Learn Control. Therefore Revan should be the next character to have a turn. 4b. If Bastila sent GMY to attack Han, Chewie, or R2D2, then CLS should gain 10% turn meter. He should have been at 95% turn meter, so this would put him at 100% turn meter. Therefore, if 4b happened, both CLS and Revan should be at 100% turn meter, and the game should randomly assign one of them to go first (50% of the time it should be CLS). So...assuming Bastila is randomly determining the target to attack with GMY, 40% of the time it will give CLS 0 turn meter, and 60% of the time it will give CLS turn meter. Of those 60%, half should result in CLS going before Revan. So in this scenario, I would expect CLS to go before Revan 3 out of every 10 battles (or half the time that GMY attacks Chewie, Han, or R2). In 7 out of every 10 battles, I would expect Revan to take his turn before CLS. Given a 70% chance for Revan to go before CLS, it's entirely probable for an entire week to go by without CLS going before Revan, since this order of speeds only applies to this opponent, and other opponents would have different math. MindTricks or HighCommand can still do testing to see if CLS is gaining turn meter appropriately, but if you can provide us with a video of your battles showing his not gaining tm more appropriately, it will help us determine if there's actually a bug. I agree with jkray's assessment. You have to be careful with effective starting turn meter calculations, because the 317.7 speed you are getting for CLS doesn't actually occur right away. His speed isn't modified, he is getting tm AFTER another Rebel is hit. Which means Bastila goes before it happens. Opponent's Revan is still faster, so has more tm when Bastila takes her turn. They bolth get bumped to 100% at the same time, so it's 50-50 who goes next. As jkray pointed out, if you are using a non-Rebel who gets hit, CLS gains nothing. I would say you may have just been lucky for those preceding battles (or your opponent recently upgraded the team's speed). where did you get that 317.7 speed thing? i said it happened when yoda hit rebels. i didn't count when thrawan was first target. you know what funny thing is? when my cls was 282 speed that 50-50 senario happened. after my cls hit 283, it has never happened for weeks. just assume it's 2 weeks. plz don't say it was just a luck. that's nonsense. i hope you consult people with common sense bro. Please remember that the volunteers who work this board do so because we like helping. Also remember that according to the board rules, personal attacks are not allowed. Just because you disagree with crzdroid's assertion does not mean he's wrong, nor does it mean you should insult him. 1. You fought this opponent once per day every day for 14 in a row. 2. In all 14 days, CLS never got to go before Revan. Anytime that GMY attacks CLS or Thrawn (remember, Learn Control won't trigger when CLS is attacked, since it only triggers on "other" Rebels) needs to be removed from the equation, because there's no probability there. So 30% of 14 battles is 4.2, so I'll round that to 4. Of the remaining 10 times that GMY hits R2, Han, or Chewie, there's a 50% chance of the coin flip. Since probability doesn't "stack" - your chance of GMY going before Revan tomorrow (assuming the same opponent, and a GMY that attacks Han, Chewie, or R2) is still 50% - not 99.9%. If you truly believe CLS is not gaining turn meter properly, can you please record some of your battles and post them here (or on Youtube and put the link here) so we can review. If the battle is on 1x speed, it should be fairly easy for us to watch CLS turn meter bar when GMY attacks, and determine if his tm is increasing as expected. My apologies for the transcription error. The "effective starting speed" calculation for a 283 CLS gaining 10% is 314.4...but like I said, you can't use that because other people get tm boosts at the same time. My common sense tells me to not "just assume" something is two weeks. Do you have a record of how many battles you didn't go first? Sometimes our perception distorts things. You say before you added 1 speed, you were getting turns, which tells me you won the 50-50 toss up some of the time (assuming your change in speed is a coincidence). The best thing you could do is next time you battle this opponent, take a video. Then you can review it and see if you are just losing an rng toss up. If CLS is below 100% tm on Revan's turn or otherwise did not appear to gain tm from another Rebel being hit, then something is fishy. i understand you guys are trying to make sure precise circumstances. and i know it is reqiured to solve this issue. but plz don't assume im complaining this cause of lack of knowledge about this game. i know i can't get bonus turn when thrawn or cls hit because it means me losing that match. and the opponent is always 1st place right before my payout, so i can say the case satisfies all of your 3 condition. i have to fight against his squad everyday and it isn't inevitable. so, it means i had more than 1 fight per day since it didn't work. so we should multiply that unlikely probability by my 3~4 attempt to win. and i can also confirm i never had lucky 50 since i reported this. i wish this is bug, if not it means swgoh programmers did their work very poorly. ps) your calculation is correct because we are discussing on 50-50 occasion. my bad. ps) i didn't want to insult him. but i agreed i was aggressive because i felt he thought me kind of dumb who didn't grasp the state. sorry about that. ps)i will figure out the way record against his squad. I clarified the "CLS + Thrawn" in my previous post because you had earlier said: "i said it happened when yoda hit rebels. i didn't count when thrawan was first target." I wanted to make sure you understood that anytime Yoda hit CLS it also didn't count, because your statement seemed to exclude him from consideration. I'm just trying to be precise so we all are on the same page! I'm not sure about Android, but iOS devices have native screen recording functions built in. You can then uplaod the video directly (if it's small) or to Youtube and share a link. crzydroid and I are just trying to help!